GEELONG holds the two most prized picks in October’s 2018 AFL Women’s Draft ahead of the trade period kicking off. The Cats are one of two expansion sides in the competition next season, with North Melbourne adopting an experience-first mentality. 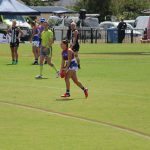 Whilst the Cats have picked up a number of experienced faces including Melbourne’s Mel Hickey and Richelle Cranston, and GWS’ Phoebe McWilliams and Maddy Boyd, North Melbourne has gone all-out in search of experienced talent with 2018 AFLW Best and Fairest winner Emma Kearney and teammate Jemma Bruton, Brisbane’s Kaitlyn Ashmore among four Lions, and four of Collingwood’s top players in Emma King, Jennifer Garner, Jess Duffin and Mo Hope among others. North Melbourne’s ambitious title-tilt has seen the Kangaroos penalised in the draft order, moved to last (or twelfth pick in the first round) and the final pick in each round thereafter. However, excluding Adelaide, Brisbane, Fremantle and GWS GIANTS who can still only have access to players that nominate their respective state, the Kangaroos effectively have pick eight. Geelong on the other hand, have been compensated as a new side in the competition, with picks one and two, as well as picks 14 and 15 (effectively picks 10 and 11 in the Victorian draft). The Kangaroos have also only been allocated five selections in the draft (no compensation pick), with each of the established Victorian clubs receiving a pick at the start of a round based on the quality lost from their list. Collingwood was deemed to have lost the most quality and thus received pick nine in the Victorian draft as compensation, whilst the Western Bulldogs received pick 18, Melbourne received pick 25 and Carlton received pick 33. Effectively Geelong head into the draft with four picks inside the top 10 and six inside the top 16, while Collingwood has four inside the top 20 – the most of any established club. Wooden spooners Carlton will enter the draft with pick three. Of course, all of this can change with the re-signing and trade period kicking off today and going until June 4. AFTER turning down a basketball scholarship in the USA, it was always going to be all or nothing for teenager Chloe Molloy when it came to football. 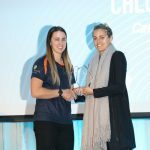 Named as the TAC Cup Girls’ league best and fairest, sharing the award alongside Dandenong Stingrays’ Bride Kennedy, the Calder Cannons’ forward was a clear standout in the inaugural season of the competition. As the applications to nominate on the AFLW draft opened on Monday, Molloy was one of the first to click on the link and register for October’s National AFL Women’s Draft. The dangerous forward/midfielder booted 20 goals from five games and was a key player in ensuring that the Cannons would claim the title. “Going back to what you remember (from the competition), that last game that we played, getting that cup and having all the girls run around and having that cup was one thing that I remembered,” Molloy said. 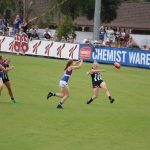 Since the TAC Cup Girls competition concluded, Molloy has played for Diamond Creek in the VFL Women’s, alongside Collingwood captain Steph Chiocci and is loving the experience to play alongside one of the best AFLW players. “Chiocci is someone I really admire as a player and then off the field just as much, just her care for the game and for the others and her leadership is just as admiral and her effort and I think she’s a real top player,” Molloy said. Reflecting on the season that was at the TAC Cup Awards night on Sunday, Molloy felt that she had come a long way throughout her season, with it being a year of full on focus on the oval ball. The step up from playing TAC Cup Girls to VFL Womens has been one that Molloy has embraced in her own journey in 2017. 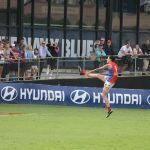 “You’ve got a lot more smarter players just because they’ve been in the game so long, they’re the pioneers of the game and you’ve gotta be really smarter cause you can’t get away with things I would’ve got away with in the TAC Cup, it’s a lot physical and a lot more structured,” Molloy said. On rejecting the scholarship, it was a decision that Molloy didn’t take lightly but she is comfortable with her decision. As for where she may play at the next level, she was keen to continue her transition through the midfield and up forward. 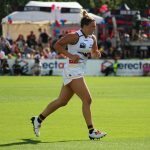 “I think for me I want to have a few years in the high forward (position), kicking some goals and delivering but I want to move myself into the midfield and become a bit more of a diverse player and offer more to whatever team I’m in,” she said. 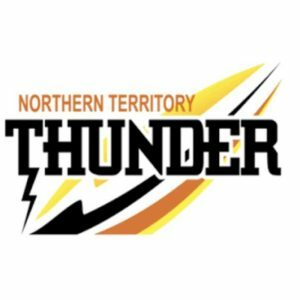 A big finals series is coming up for the ‘Creekers’ and Molloy is looking forward to the opportunity to shine.